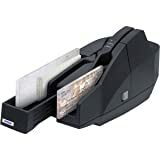 Epson’s TM-S1000 cheque scanner is ideal for banks and corporations that want to capture cheques using back office capture (BOC), remote deposit capture (RDC) or a combination of the two. The Epson cheque scanner comes in both a 30 DPM and 60 DPM version and features RDMs MICR algorithms and imaging to provide one of the highest MICR accuracy of any desktop scanner on the market today. 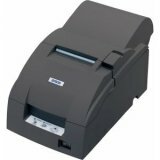 The TM-T88IV delivers increased reliability as the next generation thermal receipt printer in the Epson TM-T88 POS printer series. Sporting a 25% faster print speed than its TM-T88III predecessor, the TM-T88IV yields black graphic and text printing at an amazing 7.9 inches per second and two color (black and red) printing at 3.9 inches per second!